My dad, a cabinet maker; When I was a child he would take me with him to his hobby shop on Sunday’s. I would watch him work, play with the scrap wood bits using them like building block, push the broom around, and eventually get a bit bored and antsy as most kids do. One day, when I was around 7-years-old he pushed a bin of scrap wood over to the bandsaw, explained that if I wasn’t carful I would loose fingers, and left me there to create. I would draw up plans for chairs and tables for my first “clients”, Ken and Barbie and then attempt to build them. By age 16, my dad and I were working together building nick-nack shelves for a local store. We still work together now and then when he needs an extra set of hands to complete a project. I still have that bandsaw and all my fingers. When it came time to think about schools I had considered The University of Waterloo for Architecture, but eventually decided University was not for me and chose the more hands on approach of college. I was accepted to all the Colleges I applied to and after much thought chose Georgian College in Barrie for Interior Design. At Georgian College I was taught the fundamentals for interior design, everything from the Ontario Building code to drafting and Auto CAD. I studied history of architecture and design, colour and rendering. I also joined ARDIO (Association of Registered Interior Designers of Ontario) as a student member while at Georgian College and when I graduated in 1998 with honour’s, I stayed with ARIDO as an Intern Interior Designer. I love to paint and draw. I love architecture. As a child and well into my teens I would spend most of my alone time painting or drawing. At age 13, I designed my “dream house”. At that age I did not fully understand metric vs. imperial and designed a full set of house plans with a scale of 1cm=1 foot. 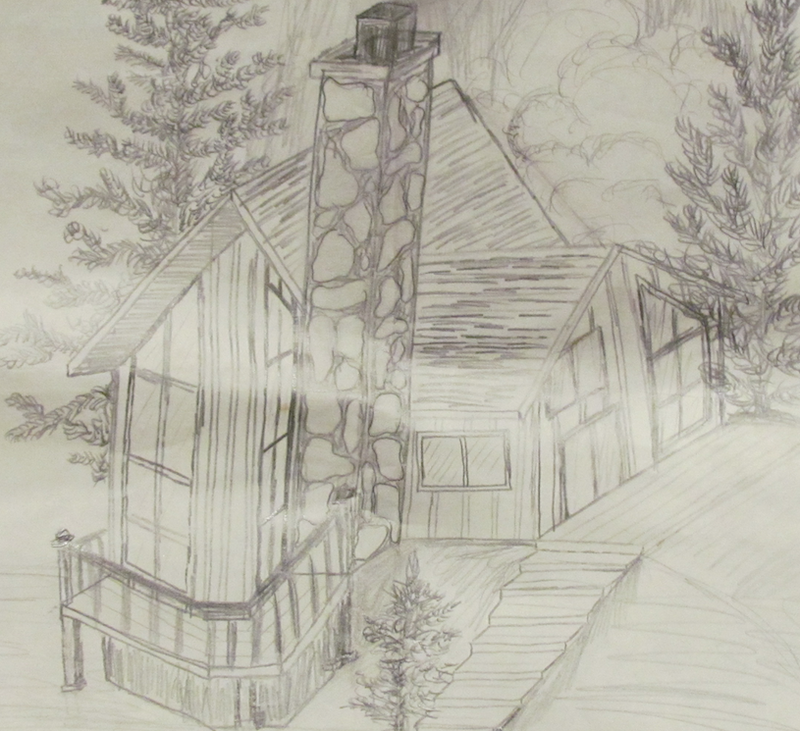 I still have the drawings and still would want a home like the one I designed 26 years ago! Post graduating I registered my first business, S.K. Designs. I did freelance projects such as office planning for Georgian College’s Career Centre, kitchen designs and even a rendering of a local community sports complex. I had the opportunity to work in Georgian College’s Engineering Department and took it with excitement. It was a temporary job and my main task was CAD and completing the drawings for Georgian Campus’s K Building. When that contract ended I had time on my hands. My dad, who just started his own business doing cabinet making, was busy and needed some help so I offered, temporally. Temporary was turning into permanent. He took on more projects and we got busier and busier. 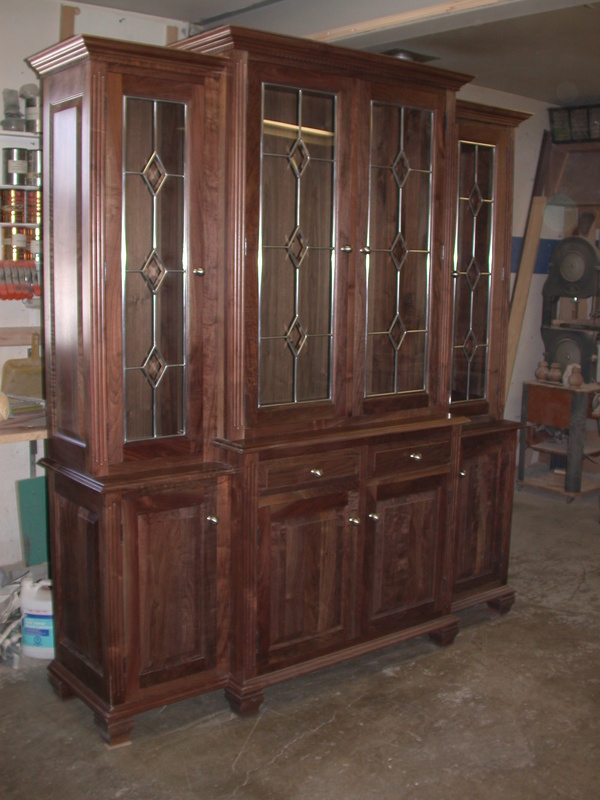 I didn’t want to be a cabinet maker! Oh sure I got to do all the design work when it came to anything custom but that was maybe 5% of the time, the rest was gluing, sanding, cutting, assembly etc. and it was not part of my career plan. I needed to break away before I got stuck. An opportunity came for a CAD operator for a company that produced lab furnishings, I applied for it and was hired. It was a good job, paid well, reasonable schedule (finished by 2 on Fridays) and great co-workers. I learned allot here, about detail, triple checking and teamwork. It was a good job, BUT zero creativity! In my opinion, what I was doing was data entry. My job was simply to take architect’s drawings and re-drew them into shop drawings for manufacturing. Also the commute was killing me. I could barely make it to work on time after dropping my daughter off at daycare as soon as it opened. It was a race to get my 3-year-old daughter from daycare before it closed. Summer 2002; Fate pulled me back onto my path of being a self employed designer as I had started out and as it would again in the future.